how do i post a pic of holly like u guys have next to your name? i uploaded some but it just went in to a gallery? would love to see some photos of your pup . (just read your post lol. you need to go to your profile and add it there. and then use the codes under the photos to put photos on here. Last edited by vinya12; 03-27-2008 at 11:09 AM..
ahh thx i have an accout wiv photo bucket. ! couldnt get it any smaller lol here she is wiv my eldest daughter. Last edited by skunkstripe; 03-27-2008 at 11:45 AM.. Reason: fixed tags, maybe not, oops! my message never got enterend in then. 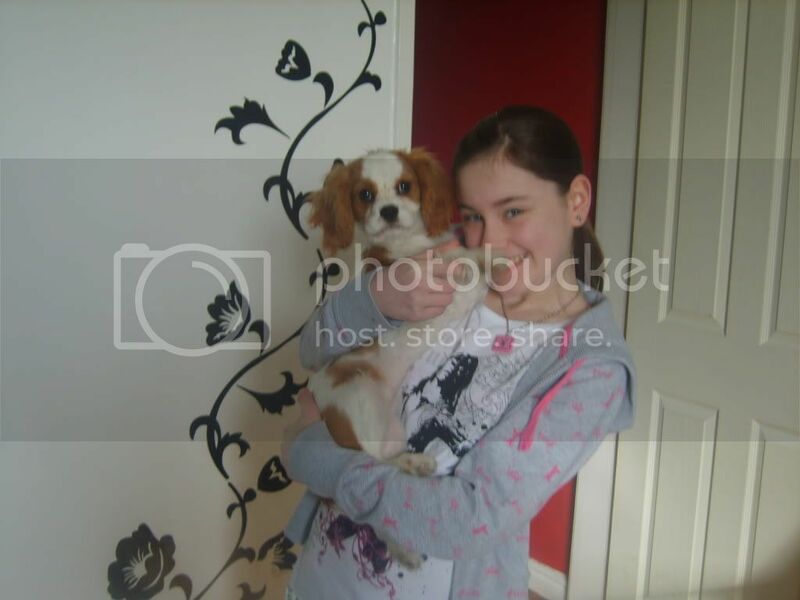 whe i go to my profile there is a pic of my last dog that sadly died and it doesnt say to upload a pic anywere on it? You have to go to your User CP. aha done it ta skunkstripe.